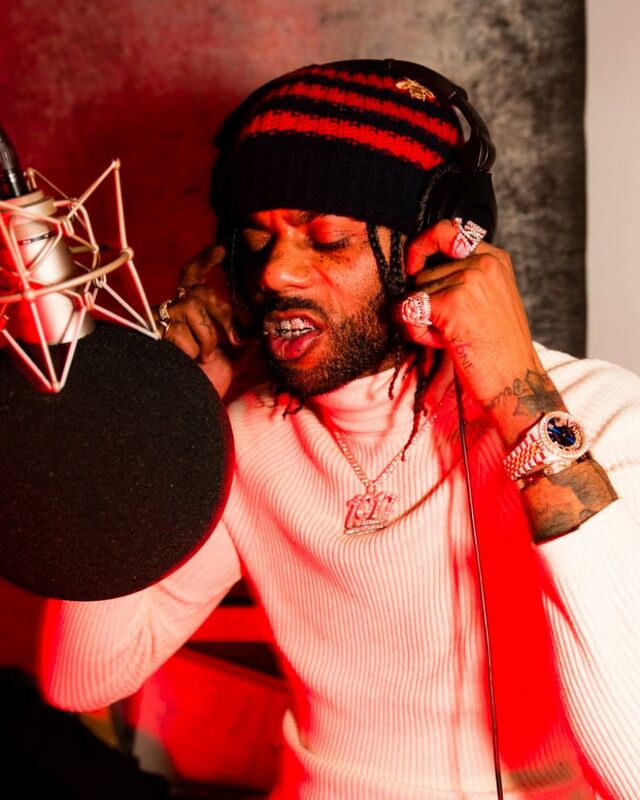 A first-ballot entrant to the flexer’s hall of fame, Hoodrich Pablo Juan is not afraid to show off his ill-gotten gains. Coming through with an anthem for his fellow dealers, Pablo shares “Slang Dope,” his new single. Repeating the titular phrase until it becomes a hypnotic mantra, Pablo crafts a bite-sized banger, creating tension with his soft-spoken delivery atop distant, whirring synths and distorted bass. “Slang Dope” is the latest single from BLO, Pablo’s upcoming project, arriving this spring via 1017 Eskimo/Alamo. “Slang Dope” is the latest in a series of standout singles from the upcoming project. Last week, Pablo teamed with Smooky Margielaa for”Can’t Fall In Luv,” premiered by The FADER. Pablo’s previous 2018 singles include the Highsnobiety-premiered “Shoebox,” featuring Gucci Mane and NAV, the Complex-premiered, “Screaming Slatt,” featuring Young Thug, the sinister “Fireworks” (2 million YouTube views) and “Dolce Gabbana,” his collaboration with 1017 Eskimo labelmates Yung Mal & Lil Quill. With the upcoming BLO and much more yet to come, Pablo looks to make 2019 his biggest year yet.